The special guest of this edition was Basma Barham, president of WFTO- Africa & Middle East and CEO at the Holy Land Handicraft Cooperative Society (HLHS), an organisation that supports the handicraft sector in Palestine. Her presence was essential to better understand not only the work of the African branch of WFTO, but also how Fair Trade is developing in territories affected by tragic conflicts like Palestine. WFTO-Europe would like to thank all the participants for the commitment shown to improve the future of WFTO network. For those who could not be there, we hope to see you at the next meeting! Here you can find some pictures taken during the conference. Abstract: During the second day of the Biennial Conference and AGM held in Wuppertal we had the opportunity to learn more about the Fair Trade movement in Germany thanks to a brief presentation led by our member GEPA, one of the oldest Fair Trade organizations in the country. On this occasion, other German partners like Fair- Band, DWP, Globlo Fair Trade, El Puente, Weltladen presented themselves and their work with producers from the Global South. In Germany, the fair trade movement started around 1970 when catholic and protestant churches and youth organisations protested with “Hunger Marches“ against the economic exploitation of the third world in the capitalist world system. The first Fair Trade product in Germany was produced by SOS Wereldhandel. In 1973, the church-based development agencies and youth organisations set up a central import organisation, GEPA which started to distributing products such as coffee, tea, chocolate, cocoa, dry fruit and honey to German consumers via action groups of volunteers who set up their stalls in church halls and farmers’ markets across the country. In 1980s GEPA began to explore more mainstream distribution channels such as catalogues, health food shops and supermarkets and other organisations were founded like DWP and El Puente. Right now GEPA has 160 trading partners and their main saling channels are Worldshops, action groups, retail/organic shops, out of home services, on-line shops. Moreover, even if the majority of their products are food, they are trying to focusing more on handicrafts and useful goods like textile, ceramics, etc.The hallmark of the organization is the Fair + symbol that was created to go further than Fair Trade criteria. Indeed, it was invented to foster long-term relationships with producers, increase political action and Fair Trade shares up to 100% in mixed products while taking care of climate protection through tree planting projects (e.g. forestation project in the Philippines). The Federal Association for Fair Trade Import and Distribution includes 33 small importers from more than 40 countries around the world and help them to sell a variety of products. They fight for products diversity. FairBand goal is to offer a transparent and multi-layered platform to the Fair Trade movement to promote and strengthen Fair Trade. Special emphasis is given to authenticity and direct personal co-operation with the partner organisations from the South. DWP’s origin is the worldshop of Ravensburg who was trading with Fair Trade products since 1983. The organisation was founded in 1988 to help the small scale farmers and small producers’ groups in the countries of the South. In 2005, they decided to change into a cooperative including all parts of the Fair Trade Chain as members. Now they include 510 cooperatives and distribute their imported and processed products in Germany, Austria, Switzerland and other European countries. As their priority are small scale farmers, they decided not have any kind of relationships with big plantations. Moreover they are also taking up social responsibility in Germany by working closely with handicapped people in the daily business and helping them to get the best possible integration. Since 1973 GLOBO works with trading partners in Latin America but they are expanding the market also in Asia and Africa. During this time they continuously introduced new products into Fair Trade, which ensure, on the one hand, stable sales for the workshops in the countries of origin and on the other hand fair prices for quality work for their customers. Their aim is to establish long-term relationships with producers of handicrafts products. 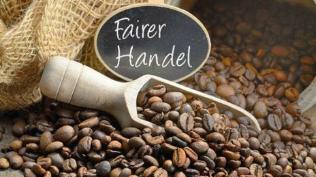 The organisation is also member of the German Forum Fairer Handel and Fairtrade Germany. Regarding their mission, they intend to expand the Fair Trade with high quality products in Germany and Europe and thus promote the conscious consumer. El Puente is among the pioneers of the Fair Trade movement and is today the second largest fair trade organisation in Germany. El Puente means “the bridge” in Spanish to symbolise the link they want to represent between developed and less or least developed countries by offering and promoting possibilities to participate and compete in global trading structures. Founded in 1972, El Puente works with small businesses and cooperatives in Africa, Asia and Latin America and as a wholesale-trader they sell their goods to Fair Trade shops in Germany and Europe. Through the import and distribution of Fair Trade products, they support more than 140 project partners in 40 different countries. Their range of products consists of around 5,000 handicraft and food articles. Moreover, they provide educational programs to inform both in developed and less/least developed countries on the structures of injustice dominating our world economy. The Weltladen-Dachverband e.V. is the umbrella organization of German worldshops. It was founded in 1975 by worldshops (Weltläden) and action groups to represent their interests at a national and international level. Today it is a registered association with more than 440 members. The work of the Weltladen-Dachverband is based on the convention of worldshops with its basic standards for fair trade. All these organization are connected by common challenges like the consequences of climate change, provide fairer living wages, the Hostile climate against foreigners and migrants and the tendency of the World economics to go more towards free trade rather than Fair Trade. Furthermore, Only 3% of German consumers buy Fair Trade products and there is a need to do more. 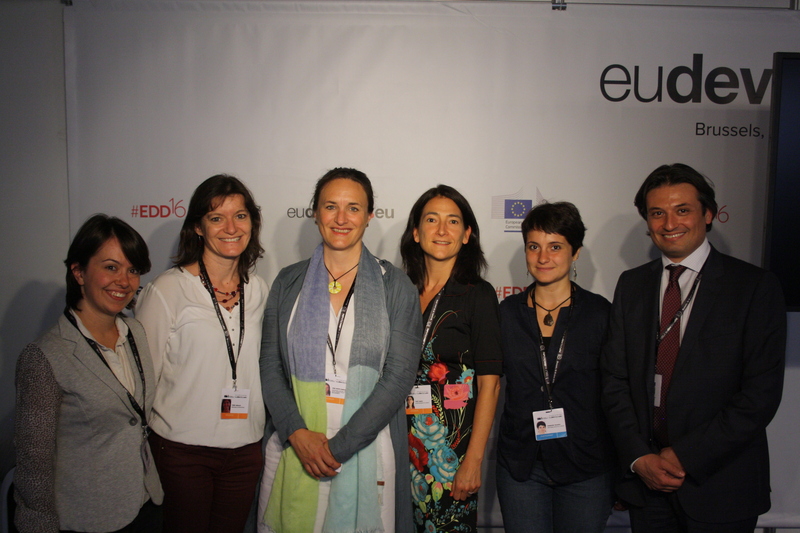 Abstract: On 15 -16 of June, WFTO-Europe had the pleasure to attend the ‪European Development Days (EDD16), where several key policy-makers (for example the Ban Ki-moon, Secretary-General of the United Nations and Federica Mogherini, High Representative of the European Union for Foreign Affairs and Security Policy and Vice-President of the European Commission) debated on how to eradicate poverty and make the world a more inclusive as well as peaceful place through the 17 Sustainable Development Goals (‪SDGs). This special 10-year anniversary edition was focused, indeed, on the ‘2030 Agenda for Sustainable Development’ and was organised around ‘5Ps’: People, Planet, Prosperity, Peace and Partnership. On this occasion, WFTO-Europe and WFTO in partnership with Fair Trade Advocacy Office (FTAO) and Fairtrade International led a workshop on the revision of the EU Aid for Trade Strategy which is expected at the end of 2016. In particular, experts but also civil society representatives had the opportunity to discuss how the Aid for Trade strategy can contribute to implement the Sustainable Development Goals and what investments are needed to make supply chains more ‪sustainable. More coordination between small producers within organisations. For more info check also the Internal Bulletin #67 of June of FTAO (login required). The Biennial Conference and AGM was an opportunity to know better our special guest of this edition. Basma Barham, president of WFTO- Africa & Middle East and CEO at the Holy Land Handicraft Cooperative Society (HLHS) , an organisation that supports the handicraft sector in Palestine. Her presence was essential to better understand, not only the work of the African branch of WFTO, but also how Fair Trade is developing in territories affected by tragic conflicts like Palestine. Palestine is a complicated territory characterised by an unstable political situation that is affecting also its economic stability based on Handicrafts. Indeed, Work and Tourism are declining day after day and the Fair Trade movement is trying to create job opportunities as well as ensuring decent living conditions for these people. In particular, Fair Trade is building a bridge with other organisations around the world, succeeding in long term business relationship while at the same time supporting local activities. One of the aims is also stop emigration caused by political pressures and restrictions on the free movement that leads young people, both Muslim and Christian, to emigrate. The political instability changed also dramatically the role of women as the departure of men in search of jobs and the large number of men imprisoned left many women as the sole breadwinners. Palestinian women not only engaged economically, they were also politicized by the struggle for independence and peace and the Fair Trade movement helps them to enforce their role in the society. 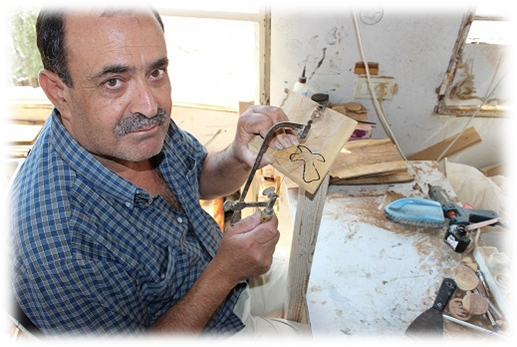 Holy Land Handicraft Cooperative Society (HLHS) was born in 1981 and work with 36 local producers supporting more than 900 families. The organisation try to alleviate local poverty and unemployment by selling local handicraft products like Olivewood, mother of pearl, embroidery and ceramic. They work also with people with disabilities and involve children by teaching them traditional craft. Indeed, an adequate education is necessary to improve their future. 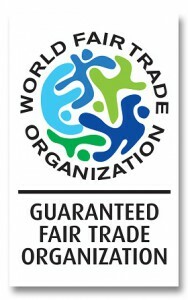 She also explained that the WFTO logo increased their sales, their knowledge about fair trade missions while consumers say that: “I choose a product which is guaranteed by WFTO because it proves the commitment to the 10 Fair Trade principles so I have a high-quality product and I help to reduce poverty and injustice”. At the regional level, WFTO-Europe is processing 9 monitoring applications while we are managing 12 new membership requests. WFTO-Europe is pleased to welcome its new members: Forum Fairer Handel, Wisnu Fairtrade, Simbólica Fair Trade, Bouga CacaO, VDP import and FairForward , its new guaranteed member Eco Collection while we are sorry to say goodbye to Lankalamai,hoping to see them back in our network in the future. We are also pleased to Welcome our new interns, Mikkel Kofod Nørgård as the Project Management and Fundraising Assistant and Stefano Carulli as the Communication and Membership & Monitoring Assistant. See also our new annual report 2015-2016, is online! The minutes of the last Board meeting held on the 19th of May via Skype are now available on the website. The montly FTAO’s Internal Advocacy Bulletin (login required) includes articles on ‘Policy Issues’ related to the Fair Trade movement, FTAO News and more! Brussels Development Briefing no. 44 : “Promoting responsible and sustainable sourcing through Fair Trade”promoted by CTA, the European Commission / DEVCO, the ACP Secretariat, CONCORD and the Fair Trade Advocacy Office.